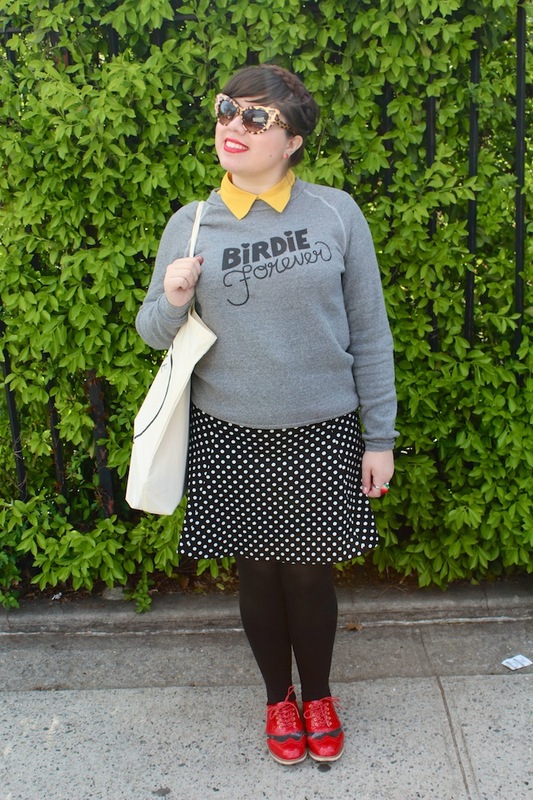 After attending the Rachel Antonoff Fall 2012 Presentation, I waited patiently for the Birdie Forever sweater to go on sale. Immediately, they sold out and I all but lost hope that I would someday own this cozy piece of my fashion week memories. 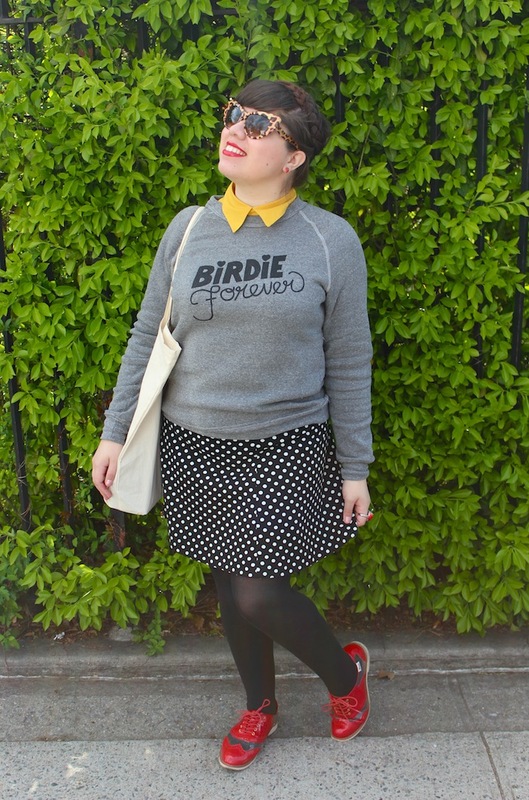 One day, Modcloth emailed to say, "It's back!" I bought it, only to discover it was too big..dum dum dum..so I returned it. Of course it sold out again and I cut my losses. Lo and behold, Modcloth got a third set of stock and I scooped the next size as fast as I could. 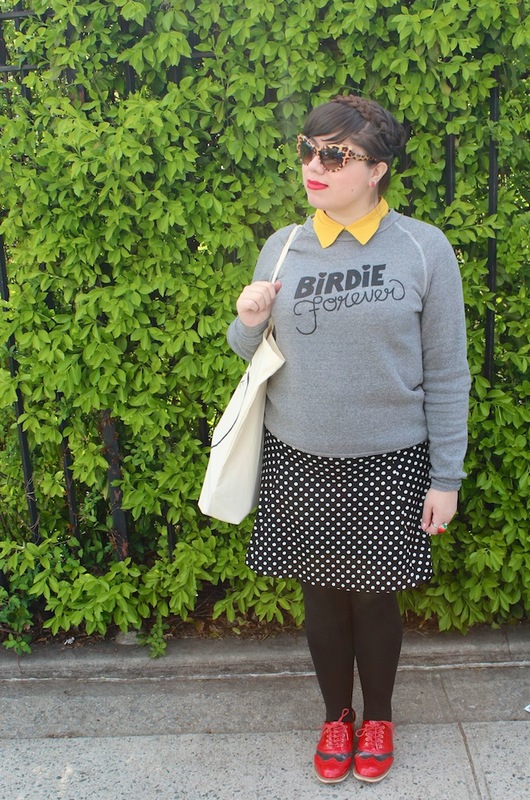 A thrifter by nature, I was initially wary to spend so much on a sweater, but I can't help but love it. It's not only cozy and adorable, but it reminds me of one my first Fashion Week shows. I was just happy to be there and excited to be running into, or meeting amazing ladies like Tavi, Keiko Lynn and Hannah. 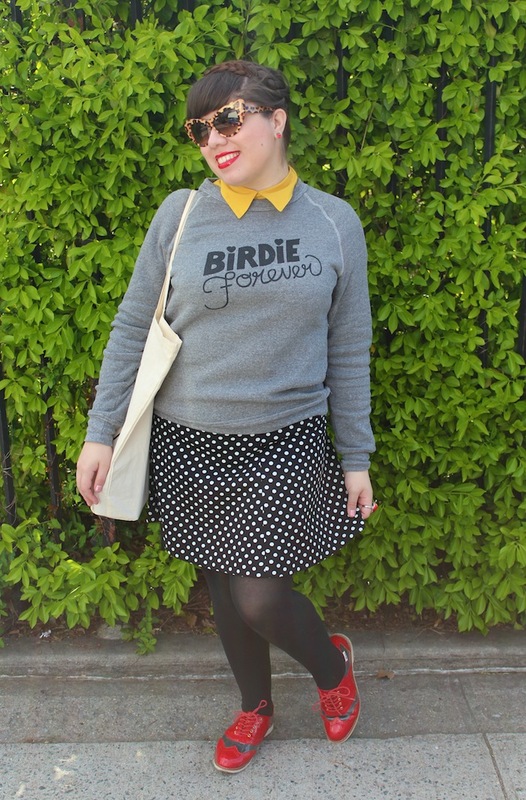 Plus it also references one of my favorite 60's movies, Bye Bye Birdie. Luckily, I got the sweater just in time for the last chill of the season (not counting today which was randomly cold!). I wore it twice in a row, two different ways. I love how everything came together with the first look, including my red Bass Loves Rachel Antonoff shoes and cat-eye Cavallis. I'm partial to this first version, but the second was still nice with florals and spring-like pink colors. Whether you like over the other, I hope you enjoy my two takes on Birdie Forever. "We love you Conrad, oh yes we do.."